No matter what kind of company you’re running or working for, you should know that it has its own secrets that can help propel it to success. The problem is that there are some companies who have ideas as to how they should go about in protecting their coveted trade secrets. You can also like meeting confidentiality agreements. This is especially true if a particular company has to share information with another company for business-related purposes. 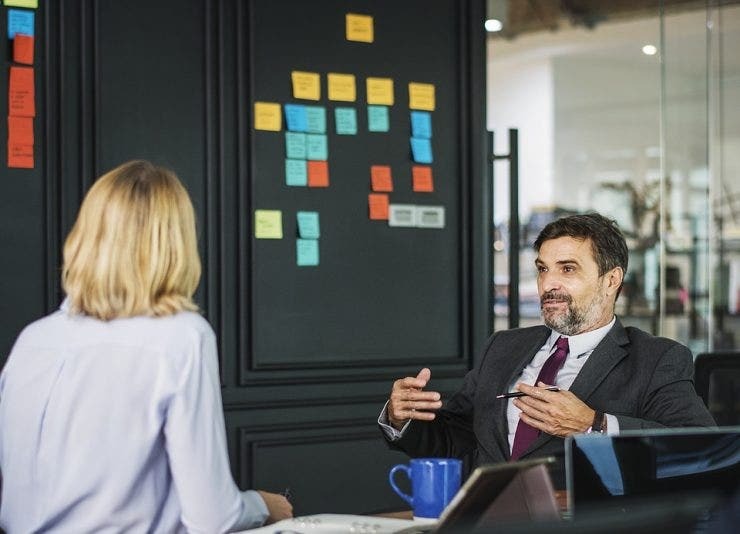 Which is why it’s important that you know how to create a joint confidentiality agreement and this article will teach you all that you need to know in order to make one that’s effective. What Is a Joint Confidentiality Agreement? The main purpose of this type of sample agreement is that it’s used whenever two companies are required to share information with one another, or if one company has to share its secrets with another in exchange for a particular service. The main reason as to why a company would want to create this agreement is to ensure that there is a fair exchange between the parties involved, and that both keep their end of the bargain. Because let’s say that you’ve just shared information about a product that your company sells to another company who can help marketing it. The confidentiality agreement can point out what the receiving party can and cannot do with the information, ensuring its protection. Basically, it’s all about protecting whatever information that has been identified as “confidential” from potentially causing damage to one party member or all that are involved. You may also see basic confidentiality agreement. Now that you have an idea as to what a joint confidentiality agreement is, the next step is for you to learn how you should go about in making one. While it’s not going to be easy given that you have many things to think about such as what information has to be protected or how it can be used, you’ll have to put in the time and effort to ensure that your company’s confidential information remains safe. You may also see sample legal confidentiality agreements. The first step you should take when making the agreement is to find out who will be involved in the exchange. 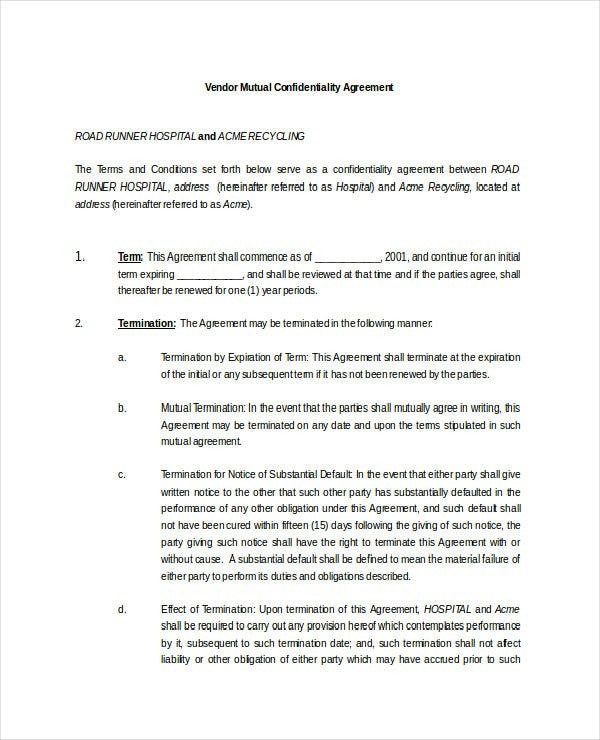 This is important as you want the agreement to clearly point out the names of the companies that are bound to whatever conditions and terms that they’ve set up regarding what information will be exchanged or what services will be provided that should remain confidential. You may also see sample volunteer confidentiality agreements. So since we’re talking about two companies, you’ll want to write down the complete names of both as well as the names of the people who have come to represent these companies. Be sure that you write down their first name, last name, and middle initial so that you can easily point out who was responsible for signing the document. You can also like personal confidentiality agreements. 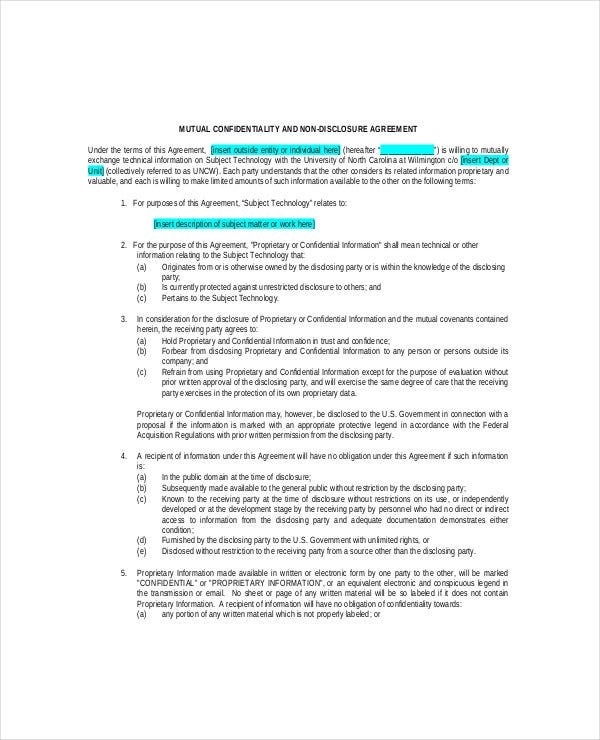 This is the section of the agreement where you will have to go into detail as to what confidential information will be exchanged from one party to another. The reason as to why you would have to do this is because you want to make it clear as to what should not be shared to anyone that isn’t involved in the agreement, lest one member of the agreement wishes to face the consequences for doing so. 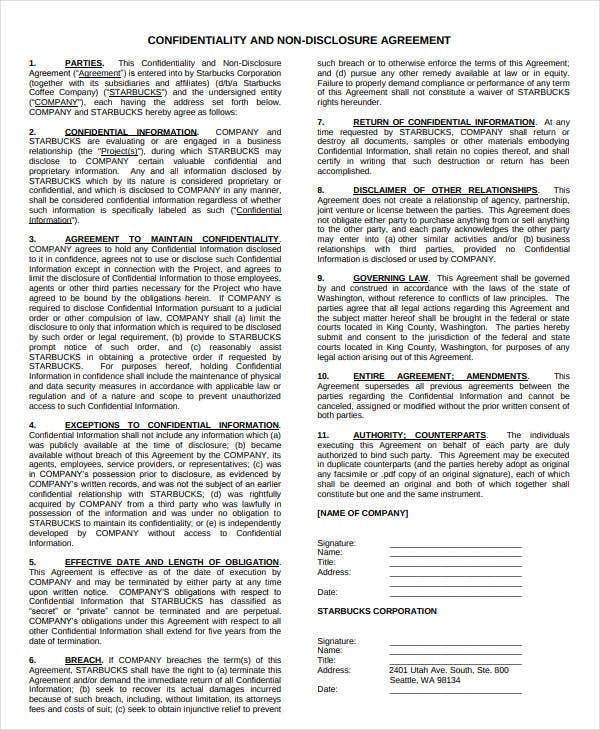 You may also see sample real estate confidentiality agreements. The kind of information that you would want to point out as confidential would be ones that can lead to the success of the business, and ones that could cause heavy damage if it’s shared to anyone that isn’t involved in the agreement. You’ll need to think very carefully as to what company-related information you’re going to have to share with the other party and write them down clearly in the document. This way, they’ll know what it is that they shouldn’t share and that they can only use them for their intended purpose. You may also see sample generic confidentiality agreements. A good example of this type of information would be the production process of a certain product of your company that has brought it to success. You can be specific by stating things such as the materials used, the people who made them, or even the location in which they were made must remain confidential. The more specific you are, the less you have to worry about what it is that the other party will have to keep secret. You may also like creating a confidentiality agreement. When you’ve pointed out the information that’s going to be exchanged, the next step is to point out what has to be given up by the other party in exchange. The point of the agreement is so that the parties involved have a mutual gain, meaning that if one gives something up, so should the other. 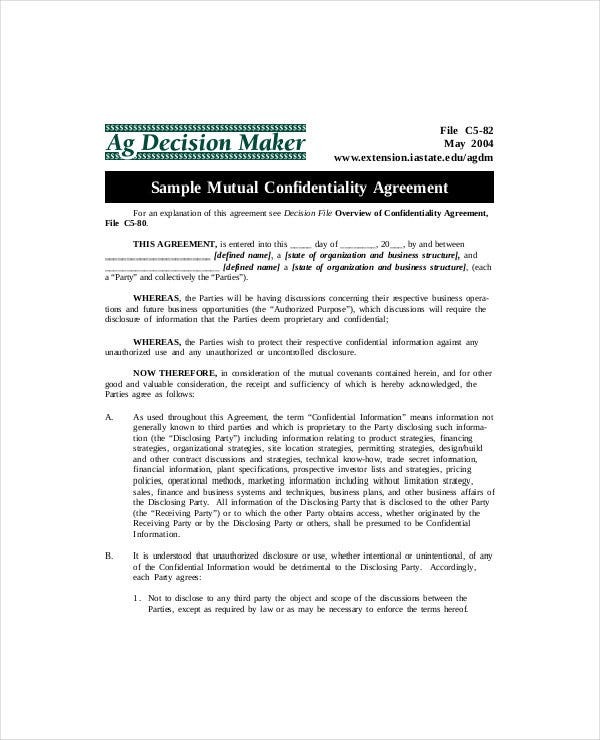 You can also read meeting confidentiality agreement samples. This can be anything from confidential information of their own or a service that they’re willing to provide. If it’s the latter, then you’ll have to go into detail as to what it is. The service has to be clearly defined with details such as who will be providing it, when it should be provided, how it’s going to be provided and when it should be completed. You may also see financial confidentiality agreements. But whether it’s information or a service being exchanged, you’ll have to point them out in the agreement as detailed as possible so that you’re guaranteed to gain something from the exchange. You may also see data confidentiality agreements. Let’s say that you’ve already handed over your company’s important information to the other business. Now, wouldn’t you want to guarantee that the business that has received the information will only use it for whatever it was agreed upon? And that’s why you’ll have to be clear on what it is that the other party in the agreement can use whatever confidential information has been received. 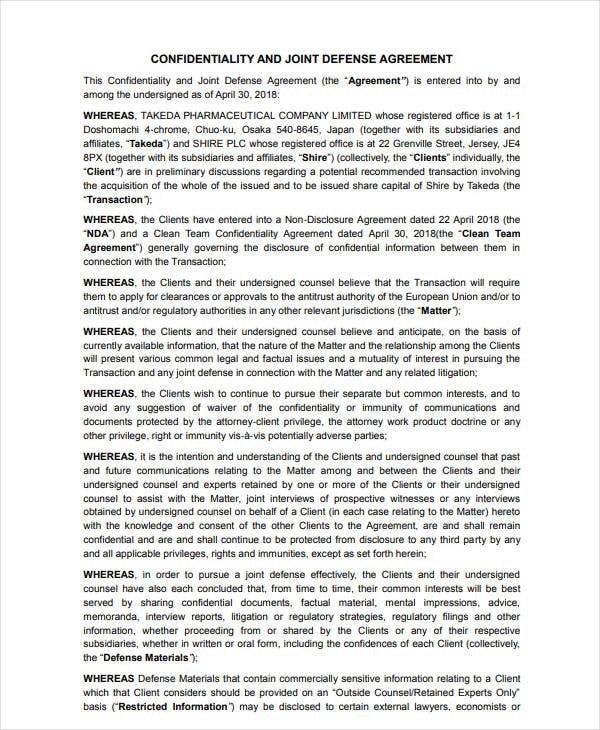 You can also read client confidentiality agreements. What you want to do is limit it only to whatever was agreed upon in the agreement, meaning that the information should only be used for business-related purpose and nothing more. You’ll also want to point out who should be in charge of handling the information and whom it can be shared with to protect it from anyone outside of the agreement. You may also read HR confidentiality agreements. You’ll have to establish the standards in which one should protect the information and how it can be used. When you’re done thinking about who’s under the agreement, what information is confidential, what is going to be exchanged and what should or shouldn’t be done, you must then provide information regarding when the agreement will take place. This is where you write the exact moment where both parties will need to uphold whatever terms and conditions that they’ve set. 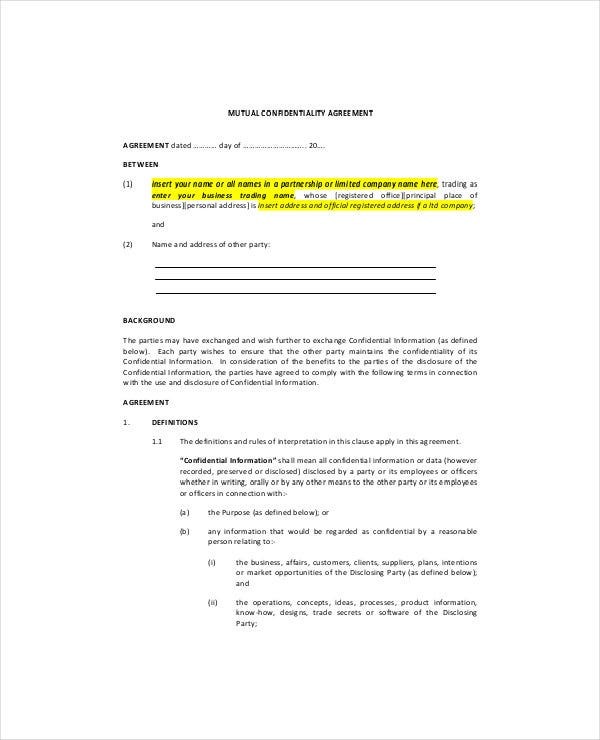 You may also see business confidentiality agreements. So when you’re providing the date in which the agreement will start, you must make sure to provide the month, day, and year. That way, there will be no excuse in the event that one party states that they didn’t know when they would have to uphold the agreement. 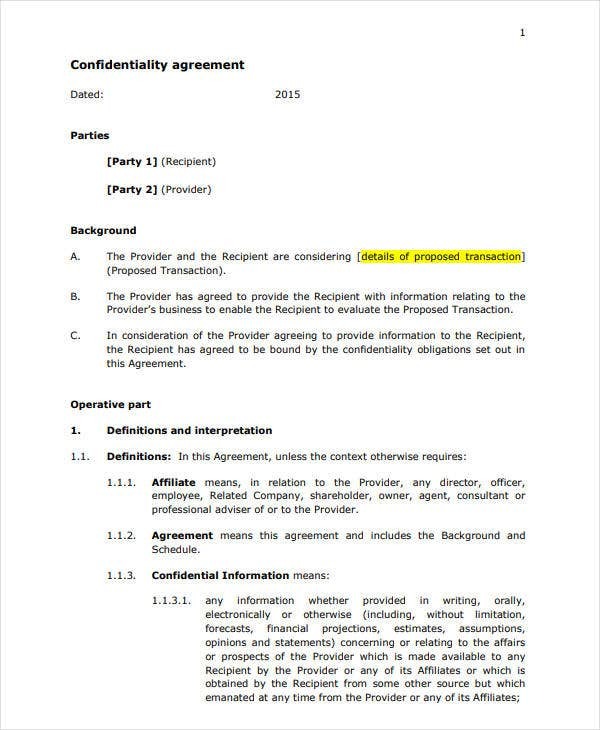 You may also see legal confidential agreement templates. It’s also important that you point out the date in which the agreement should end, although you don’t have to be as specific. You can specify that it can end within any time within a particular year, or that it may abruptly end if a certain event occurs. You’ll have to be clear as to what the event may be so that both parties will know exactly when the agreement might suddenly end and won’t be caught in surprise. You may also see personal confidentiality agreements. Now this is the part where you’ll have to be very careful as you want to ensure that the parties involved in the agreement knows what consequences they face if they decide to break it. While there are some where a lawsuit can be filed against the party that has broken the agreement, there are also those where the party at fault would only need to pay a steep financial fee. You’ll have to decide which you will need to go for with your confidentiality agreement. 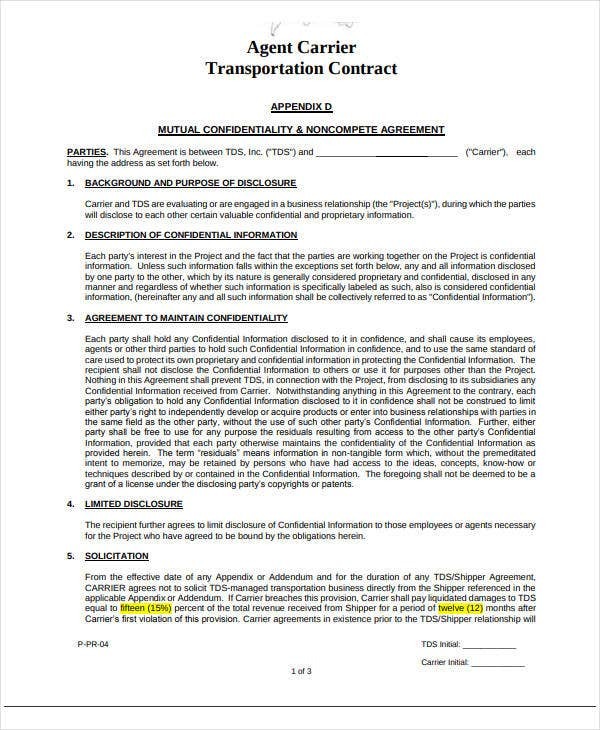 You may also see non-disclosure agreement templates. The severity of the consequence will depend entirely on the kind of information that was leaked, and the damages that were caused because of it. If a fee is to be paid in order to settle the issue, then both parties will need to come to an agreement regarding the price of the information. If it’s too difficult for both parties to decide, then it’s best to bring the matter up in court where a judge is able to provide his or her assistance. You may also like confidentiality agreements for business. Once everything is all said and done, the last step is to have the parties involved sign the document. The signatures will show proof that the parties have read, understood, and accepted the terms and conditions and are willing to push through with the exchange. Be sure that you leave spaces for where they can sign. You may also see meeting confidentiality agreement samples. If you would like to learn how to create other types of confidentiality agreements, then all you have to do is go through our site. It has many different articles that can provide you with the assistance that you need. The only thing that you have to do is go through them thoroughly so that you can make an effective use of whatever information they provide. You can also like sample celebrity confidentiality agreements.